Duck Goose Gose (pronounced “goes-a”) is a beer that was produced by Marin Brewing Company in Larkspur, California in collaboration with Scott Wilson-Browne, Brewmaster/Owner of Red Duck Brewery in Ballarat, Victoria in Australia. 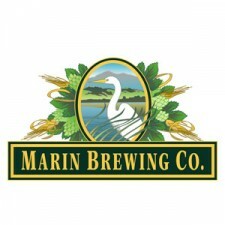 Scott approached Marin Brewmaster Arne Johnson with the idea to make a Gooseberry flavored Gose. Gose is an old German style of ale that has its origins in the north around the cities of Goslar and Leipzig. It had become nearly extinct until recently, when several small breweries in Germany and the United States began reproducing the style. Gose is a modest, wheat-based brew of 4-5% alcohol by volume distinguished by a tartness derived from Lactic Acid bacteria, and a saltiness that was originally contributed by the salty ground water of the region. The brew was traditionally spiced with a touch of coriander. Arne and Scott employed a unique process to achieve the qualities inherent to the style. A cultured strain of Lactobacillus Delbruckii (a similar strain is used to produce yogurt) was pitched into the wort in the kettle, and allowed to ferment for about 24 hours, prior to a short boil, to which a small amount of sea salt and Nelson Sauvin hops were added. The wort was then fermented with Marin’s house ale yeast, and cold conditioned for several weeks. Reconstituted dried Cape Gooseberries were added during conditioning. The resulting elixir is extremely refreshing and drinkable, with a pleasant lemony tartness, and hints of apple, gooseberry (think Sauvignon Blanc wine) and sea salt. At 4.4% alcohol by volume, Duck Goose Gose is a very sessionable brew, and it will likely take you a few pints to wrap your head around this most intriguing beer.